Home » Blog » Etsy » My first Etsy-versary! Exactly one week from today, on first of June, will be my first etsy-versary, in other words the first anniversary since the reopening of my shop on Etsy. For who’s asking why of the word “reopening”, I suggest to read this article: “My Etsy shop and why I called it that way“, inside it I narrate in short the story of my shop, I would take this chance instead to narrate some little episodes and real some “behind the scenes”. When I arrived on Etsy, a year ago, the things were different from now, this because Etsy is a platform in continuous development, in good and bad. For example in my days there weren’t the option for shop updates or the possibility to upload a video and neither the cover (which is a recent update). The graphic of a shop was, in some ways, easier and allowed less personalization with a smaller banner on the homepage. An old screenshot of my shop with it’s first graphic! When I started to create my first digital papers, I realize that Etsy was still for me an unexplored sea, full of treasures that I didn’t know about. In fact really soon I understand that digital papers weren’t the only kind of digital products on the platform and I started to discover (for example) pre made banner sets for shops. But not only. Through the sea of products that I started to know and experiment, there were also digital labels. I don’t mean the planner stickers, rather I intend labels of different shapes and dimensions (for example rectangular or circular) which can be printed on sticky paper and used to embellish packaging, envelopes, and other things. 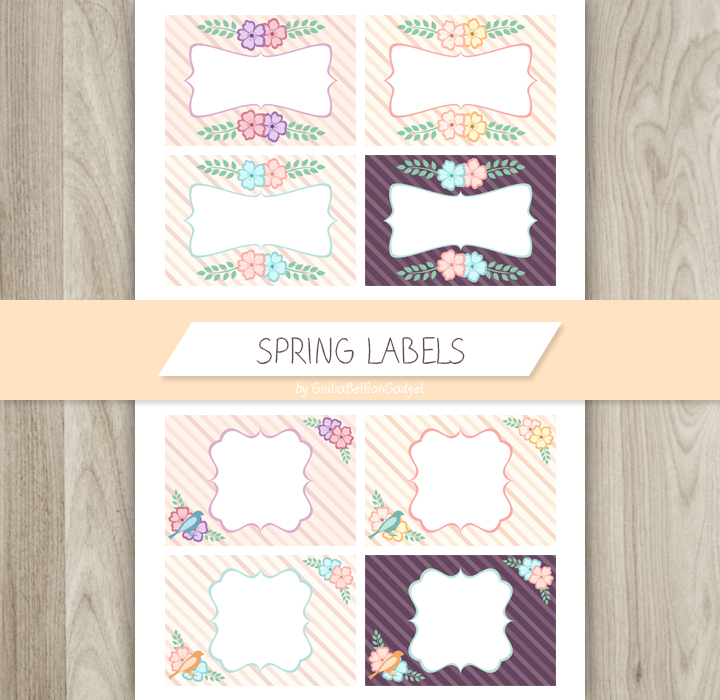 The first set I designed was in spring theme with flowers and birds and colorful frame. Honestly they weren’t beautiful, but I hoped that someone would like them. I realized another pair of sets, and when I realized that they didn’t have much success, I decided to eliminate that kind of listings from my shop. The first set of digital labels I designed, listings that were removed from my shop. Despite the flop of digital labels, I had some little success! 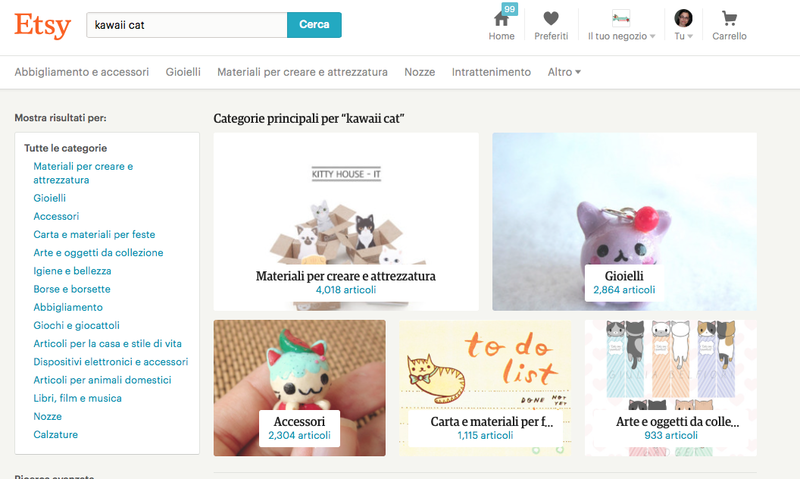 Like when I realized (for a coincidence honestly) that searching the word “kawaii cat” on the search bar of Etsy, the image of the preview of my cat bookmarks, were used as cover for the section “Art and collective objects”. I was very surprised and happy! However they are still there! They really get a great popularity! My cat bookmarks, became the cover for the section “Art and collective objects”! I am really happy that my shops is still on after one year and have succeeded in reach so many little goals, like my first 50 sales! So, I decided to write this little article a week before my anniversary for a simple purpose: I’d like to celebrate with all you this little success and announce you that you can receive, from today to the first of June, a 10% off discount on every listing of my shop, just using the coupon code 10OFFEVERYTHING as is written! Furthermore, if you like my work, I suggest you to follow my instagram profile @giuliabelfiorigadget because some little events may arrive there too… thanks for have read this so long article and see you next time!